Access to our online shop. 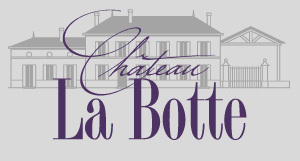 This page allows you to access our online shop on the Internet www.boutique-chateaulabotte.com. This new means of communication is yours. It allows you to order your wines from a bottle. All orders placed on this website must comply with the delivery methods provided in the order form. Our deliveries are planned on Metropolitan France. For any other destination (export, for example), please contact us by phone or mail. Attention, it is the customer to check well before confirming his order that mode of delivery is indeed the one he expects. it and to cover the payment of the shipping costs. This solution allows a better authentication of the cardholder during purchases made, requires you to create (if you do not have one) a user account (free), and assigns you an access code that has no relationship (and should under no circumstances be confused) with the PIN you use to withdraw money from the bank. This code you will be assigned, will then be valid for all shopping sites equipped with 3D secure on which you will go shopping! This means that you can override an order that will only be validated upon receipt of your check sent by post. You will use this method of payment if you wish to withdraw your order directly to the property.